Marcia is a Certified Information Systems Auditor (CISA) with 20 years of experience. She is also working towards the Certified in Risk and Information Systems Control (CRISC) designation, having passed the exam in December 2016. She holds a Masters in Information Systems from the London School of Economics and Political Science (LSE). Marcia’s career began at the Audit Commission where she dealt with public sector clients and then moved on to the Big 4, where she spent 15 years in total at PwC, KPMG and Deloitte. At PwC she gained international experience, working abroad for 5 years in Bermuda and San Jose, CA, USA, with clients in the Financial Services and High Technology sectors. 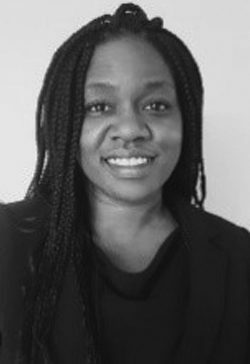 Marcia’s focus is on Programme/Project Assurance reviews; performing independent assessments of £ multi-million programmes, as part of the Internal Audit function. By providing timely, insightful recommendations, she has contributed to the success of programmes at clients such as Prudential, M&G Investments and Southampton Solent University. Whilst at KPMG, she was engaged as a PMO team member for a department within the Office of Government Commerce.